Nutrition Stats: (per 1-cup serving) 27 calories; 0.3 g fat; 5.3g carbs; 2.05 g protein; 2.1 g dietary fiber; 32 mg sodium; 51.6 mg vitamin C; 61 mcg folate; 0.197 mg vitamin B6; and, notably, 320 mg potassium. 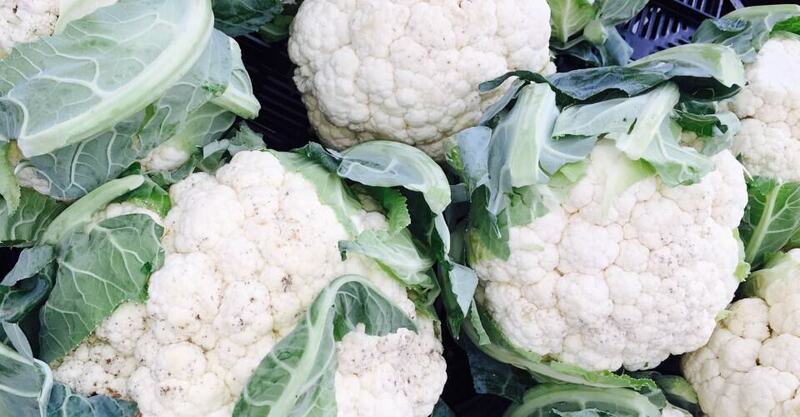 Health Perks: #Cauliflower (as well as broccoli, cabbage, Brussels sprouts, watercress and turnips) are not only loaded with vitamins and minerals but also contain phytochemicals called indoles and isothiocyanates that are collectively known as glucosinolates. These compounds have been shown to trigger enzyme systems that eliminate carcinogens from the body and to increase the expression of genes that suppress tumor development. 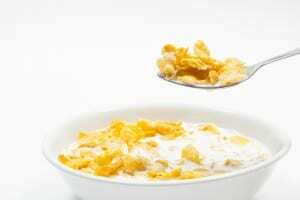 They also appear to reduce tumor size and work against the high levels of estrogen associated with breast cancer. In addition, scientists have found that sulforaphane, another substance in cauliflower and broccoli, boosts the body’s detoxification enzymes, thus helping to clear potentially carcinogenic substances more quickly. And researchers from Oregon Health & Science University found that sulforaphane may also lower blood pressure. Finally, the high amounts of vitamin C found in cauliflower are healthy for the skin and the immune system and prevent the oxidation of LDL, or “bad” cholesterol; potassium lowers blood pressure; fiber helps to reduce cholesterol; and vitamin B6 reduces levels of homocysteine, which has been associated with maintaining a healthy heart. Purchasing: Look for firm, white, clean tops. Avoid brown spots and soft heads. Also, note that the Environmental Working Group has found two chemicals, acetamiprid and imidacloprid, which belong to the neonicotinoid family of pesticides, that may affect developing nervous systems. Between 2006 and 2011, the USDA detected imidacloprid on roughly 59 percent of the conventionally grown cauliflower produce samples it tested (see: http://www.ewg.org/release/european-food-regulators-warn-health-risks-pesticides-commonly-contaminate-many-us-fruits). So, when buying cauliflower, go organic, especially if you are pregnant or feeding young children. Storage: Cauliflower will keep for up to five days if stored in the crisper section of the refrigerator. If the head is not purchased wrapped, store it in an open or perforated plastic bag. Keep it stem-side up to prevent moisture from collecting on it. Position a rack in the lower third of the oven and preheat to 450°F. Coat a large, rimmed baking sheet with cooking spray. With a sharp knife, remove the skin and white pith from the lemon and discard. Working over a small bowl, cut the lemon segments from their surrounding membranes, letting the segments drop into the bowl. Drain the juice from the segments. Toss the lemon segments, cauliflower, oil, salt and pepper on the baking sheet and spread evenly. Roast until starting to soften and brown, stirring once halfway through, 25 to 30 minutes. Sprinkle the Parmesan and capers over the cauliflower; stir to combine. Serve garnished with more Parmesan, if desired. Nutrition Information (per 1-cup serving): 164 calories; 10 g fat (3 g saturated, 6 g mono); 7 mg cholesterol; 13 g carbs; 8 g protein; 5 g fiber; 424 mg sodium; 675 mg potassium. Place the bread in a toaster oven on very low heat. Toast as long as possible without burning (about 5 minutes). While the bread toasts, trim the leaves and stalks from the cauliflower. Cut into individual florets. Place 1 inch of water in a 4-quart pot with a lid. Insert a steamer basket and place the cauliflower in the basket. Sprinkle with the salt. Cover and bring to a boil over high heat. Reduce the heat to medium and steam for 5 to 8 minutes, until the cauliflower is easily pierced with a sharp knife. Do not overcook. While the cauliflower steams, break the toast into small pieces. Pulse the toast in a food processor until medium-sized crumbs form. Tip: If you don’t have a food processor, break or crush the toasted bread into finer pieces or buy whole-wheat breadcrumbs and use 2 tablespoons. When the cauliflower is done, remove it from the heat. Melt the margarine in another pan over medium heat. Add the breadcrumbs and pepper to the margarine. Cook and stir for about 5 minutes. Add the cauliflower and toss until well coated. Serve immediately. Nutrition Information (per 1-cup serving): 45 calories; 4 g fat; 2 g protein; 5 g carbs; 2 g fiber; 120 mg sodium. Bring a large pot of water to a boil (you can also boil your cauliflower in some chicken broth for a bit of extra flavor), add the cauliflower and cook for about eight minutes or until fork tender. Drain and transfer to a serving bowl. In a food processor, blend the onion and garlic. Add the cauliflower, Earth Balance, yogurt, cheese, salt and pepper and blend until you have a thick puree. Once everything comes together … taste it. Is it too thin? Add more cheese! A little bland? Another hit of salt! Reheat if necessary and enjoy! Nutrition Information (per serving): 124 calories; 6.3 g fat (2.2 g saturated); 4 mg cholesterol; 168 mg sodium; 10.8 g carbs; 4.1 g dietary fiber; 2.3 g sugars; 8.8 g protein.